Recent evidence suggest that the integration of brain-computer interacting technologies into the motor rehabilitation after paralysis can result in greater and/or faster outcomes. We are currently developing and testing the efficacy of functional electrical stimulation therapy (FEST), triggered by the activity of the brain, to restore voluntary movement of the arm and hand after spinal cord injury and stroke. Using brain-computer interfacing technology we identify a person's intention to move the arm and/or hand by analyzing the electroencephalographic (EEG) activity. Immediately after this, we trigger a complex sequence of electrical pulses applied to different muscles to produce the intended action. The use of electrical stimulation is reduced gradually as the ability to move is restored and it is discontinued completely at the end of this short-term therapeutic intervention. Our first results have allowed us to see significant improvements in even cases that typically are unable to participate in other forms of therapy. 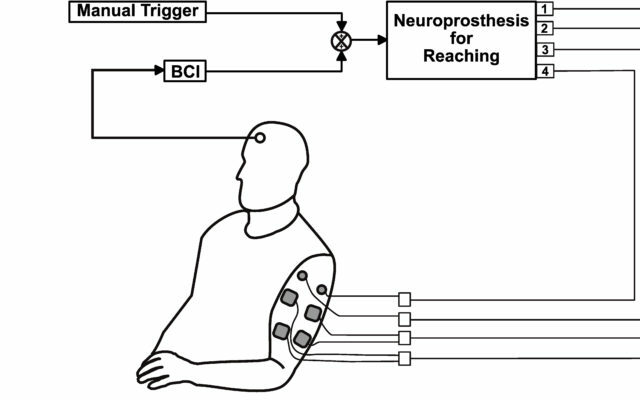 C. Marquez-Chin, A. Marquis, and M. R. Popovic, “EEG-Triggered Functional Electrical Stimulation Therapy for Restoring Upper Limb Function in Chronic Stroke with Severe Hemiplegia,” Case Reports in Neurological Medicine, vol. 2016, pp. 1–11, 2016. 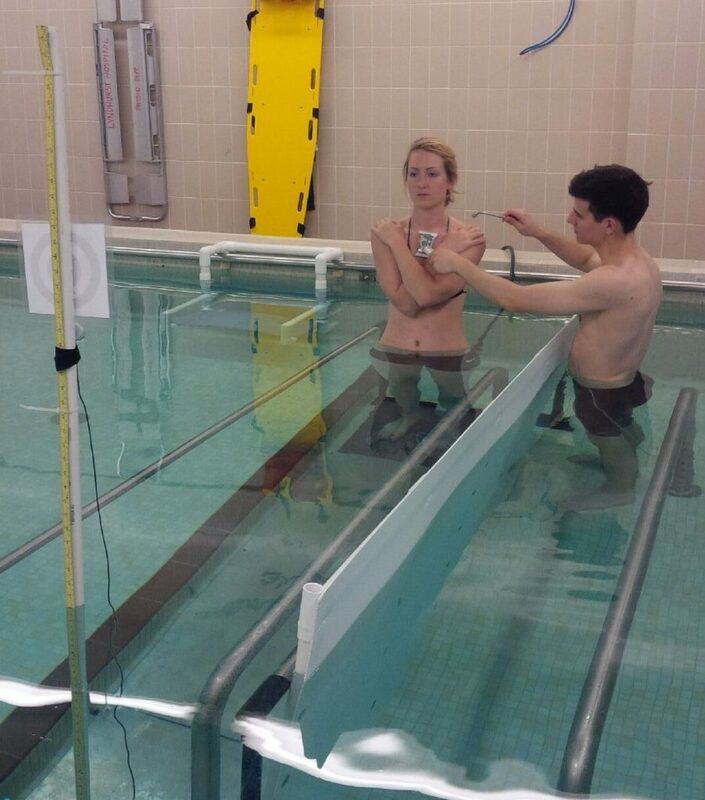 In this project we assessed the effects of the aquatic environment on postural sway and gait initiation. Parameters of the center of pressure (COP) and trunk acceleration (upper and lower trunk) were investigated in able-bodied subjects and in individuals with incomplete spinal cord injury.Our preliminary results suggest that the aquatic medium increases postural instability and changes postural control strategies in the upper trunk in water compared to land during standing. In gait initiation, the aquatic environment seems to slow down the execution phase while increasing the COP trajectory both in anticipatory and execution phases. A new trunk strategy is evoked while initiating gait in water when compared to dry land. The parameters of participants with SCI were similar to the able-bodied subjects. Individuals with SCI reported to feel more secure in water than on land. A.R. Marinho-Buzelli, H. Rouhani, K. Masani, M.C. Verrier, and M.R. Popovic, “The influence of the aquatic environment on the control of postural sway,” Gait and Posture, Vol. 51, pp:70-76, 2017. Many SCI individuals suffer from orthostatic hypotension (OH), a rapid decrease in blood pressure upon changing from supine to upright position, experienced, as incapacitating dizziness (among others). 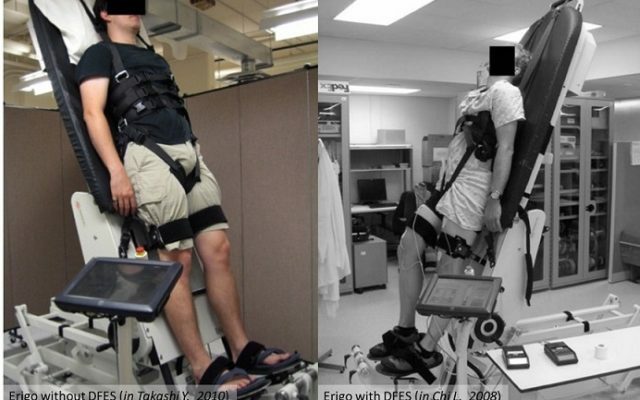 Dynamic Functional Electrical Stimulation (DFES), and passive robotic leg motion synchronized with electrical stimulation of the leg muscles, during upright stance has proven to prevent immediate OH from occurring in individuals with long lasting SCI. This study examines how DFES can be used in early rehabilitation to prevent OH from occurring and, by doing so, enable SCI individuals to participate in an intensive rehabilitation program immediately following injury.